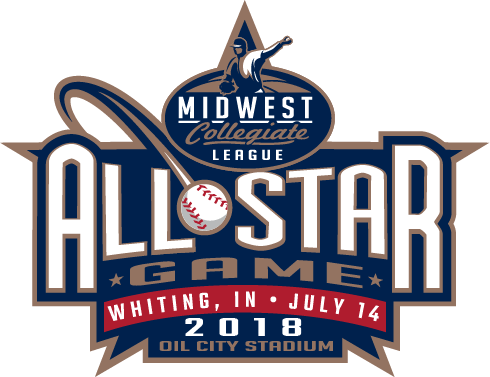 Midlothian, Ill. – July 20, 2018 – The Crestwood Panthers were set to host the Southland Vikings in a doubleheader, but the weather in the Midlothian area reduced play to just six innings with the Vikings taking a 2-0 victory. It was a pitcher’s duel throughout, but a two-run third inning proved to be the difference as the Vikings did what they had to do to secure the win. Stephen Gilbertsen (Illinois State/Chesterton, Ind.) took the mound for the Panthers and kept his team in the game throughout. He pitched all six innings, allowing just two runs on six hits, walking two and striking out three. However, he had three wild pitches, and two of which led to the two Vikings runs. Offensively, the Panthers offense was held in check by Vikings starting pitcher Robert Keating. In his shutout six innings, he allowed just two hits and three walks, picking up four strikeouts along the way. From the third inning to the sixth, Keating had a stretch where he retired 11 consecutive batters. The Vikings started off their two-run third inning with a bang as Gil Loza and John Hendry led off with back-to-back singles to center field. Keating, who batted for himself, followed by laying down what would have been a sacrifice bunt down the first base line. Yet, due to miscues in the Panther infield, Keating reached first base for a single. Loza scored on the very next pitch after the first of Gilbertsen’s three wild pitches while Hendry crossed home plate on an Andy Lopez sacrifice fly. 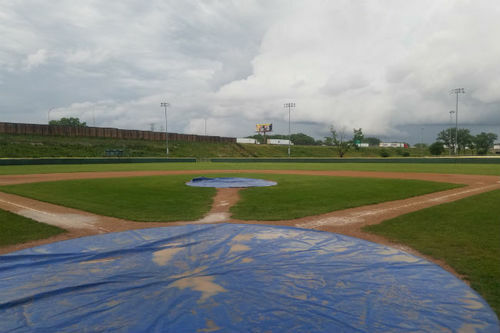 After the sixth inning, heavy rain came down on Howie Minas Field and the two umpires ruled the conditions unplayable. Because the two teams had completed five innings, the game was declared official and the Vikings were awarded the win in an abbreviated contest. The Panthers return to action tomorrow as they travel to O’Neil Park to take on the Bloomington Bobcats at 1:00 p.m. Ryan Zimmerman will have the live play-by-play call on the Crestwood Panthers Broadcasting Network.